Check out Andrew Yoder’s pirate radio blog with its deceptively simple title, the Hobby Broadcasting blog. Andrew is the author of the Pirate Radio Annual and a guru on shortwave pirate radio. His blog is still relatively new, but he has already posted several station loggings and QSLs. He’s even logged some Halloween stations, as Halloween began last night in Universal Time. Like Andrew, listen for pirate radio stations today and throughout the weekend! Turn on your radio anytime today, but especially around twilight and tune between 6,920 – 6,980 kHz. Pirates broadcast on both AM and SSB; you’re bound to hear a few. If you’re brand new to pirate radio listening, you might read my pirate radio primer by clicking here. I will be listening until late in the evening–of course, I’ll also be listening to the Global 24 sign on. 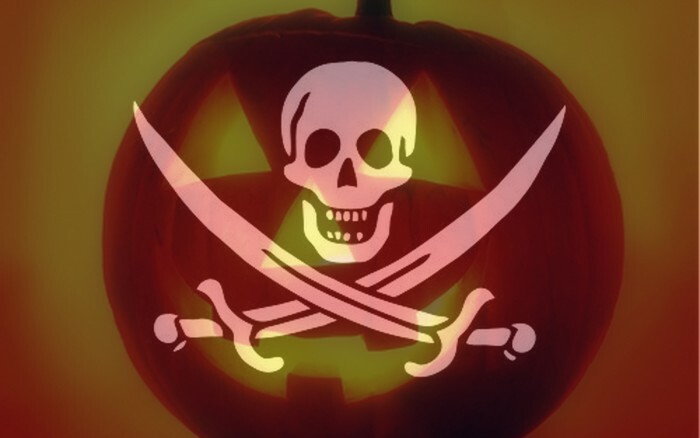 This entry was posted in News, Pirate Radio, Shortwave Radio, What's On Shortwave and tagged Andrew Yoder, Halloween, Hobby Broadcasting blog, Pirate Radio, Pirate Radio Annual on October 31, 2014 by Thomas. A fire broke out at France’s public radio headquarters in Paris on Friday, forcing live programmes off the air as staff evacuated the vast Paris complex where major building work has been underway. Fortunately, it seems all staff were evacuated and there have been no casualties noted at this point. Time will tell if this has a temporary effect on Radio France International programming. This entry was posted in Broadcasters, International Broadcasting, News and tagged France, Radio France Fire, Radio France International, RFI on October 31, 2014 by Thomas. Many thanks to the Global 24 Radio team for notifying me that they’ve posted their initial programming. I posted the full list below, but you should also check the Global 24 website as they’re making frequent additions. As a reminder: Global 24 Radio begins broadcasting tomorrow, October 31, 2014, beginning at 2300 UTC on 9,395 KHz. This entry was posted in Broadcasters, International Broadcasting, News, Schedules and Frequencies, Shortwave Radio, What's On Shortwave and tagged Global 24 Radio, Global 24 Radio LLC, Global24, Jeff White, Shortwave Radio Broadcasters, WRMI on October 30, 2014 by Thomas. I have owned the Tecsun PL-380 for years now. When my buddy Mike (K8RAT) recently asked if the temperature display could be switched from Celsius to Fahrenheit, I gave him a firm “no” as a response. I just tried it and, as you can see, it works brilliantly. Thanks, Mike! 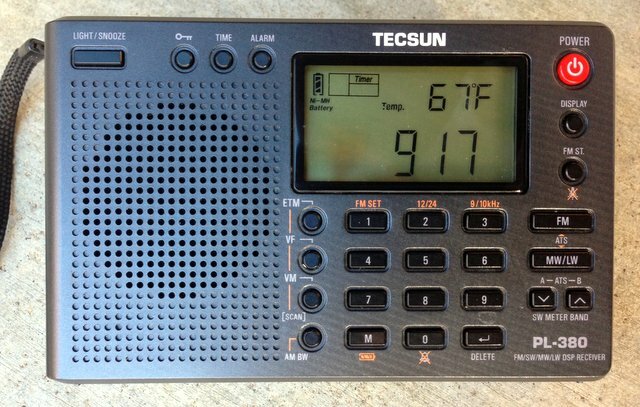 This entry was posted in How To, Radio Modifications, Radios, Shortwave Radio and tagged PL-380, Tecsun, Tecsun PL-380, Tecsun PL-380 temperature on October 30, 2014 by Thomas. PortableSDR: The Holy Grail of portable SDR transceivers? Many thanks to my buddy, Bennett Kobb (AK4AV), who shares information about the PortableSDR, one of five finalists in The Hackaday Prize. “The PSDR is a completely stand-alone (no computer needed), compact, Portable Software Defined Transceiver (hence the name, sorta). Originally designed for backpacking use by Ham Radio operators. It includes complete coverage up to about 30Mhz (plus 144Mhz), it has a 168Mhz ARM processor, color display, and an innovative interface. Vector Network Analysis (which includes antenna analysis) and GPS functions are included. I will certainly follow this project with interest. I love the fact that PortableSDR has such a small form factor, yet still manages to include room for a battery, display and CW paddles. This entry was posted in New Products, News, Portable Radio, Radios, Shortwave Radio, Software Defined Radio and tagged Benn Kobb, General Coverage Transceivers, Hackaday, Michael R Colton, Portable SDRs, PortableSDR, SDR, Software Defined Radio, Transceivers on October 28, 2014 by Thomas.